If the video clips for Team Sonic Racing weren't already satisfying enough, the head of Sonic Team, Takashi Iizuka, has confirmed the next big entry in the mainline Sonic series is officially underway. The announcement was made during a panel at SXSW Gaming 2019. Other than this, no other information is currently known about the new Sonic game and there's no indication as to when Sega will reveal more about it. 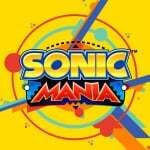 The most recent Sonic release was the enhanced title Sonic Mania Plus in 2018. The lead developer, Christian Whitehead, has since gone on to form his own studio - Evening Star - with several other Sonic Mania team members. The most recent 3D title in the Sonic series was Sonic Forces, released on multiple platforms in 2017. Are you looking forward to the next major entry in this long-running series? Tell us down below. I'd be satisfied with Generations ported to the Switch, to be honest. Maybe SEGA will demonstrate they actually learned something from Mania's success. Well, let’s hope they give the fans what they want. Obviously I’m talking about Sonic: The Movie: The Game. 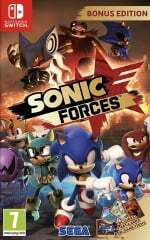 Just hope they have more ideas than Forces as they seemed to be running low on steam and new ideas. Sonic, the Trading Card Game. Unique in its approach to attack an opponent by spinning the card and throwing it. You’ll have 99 opponents and only one will be left standing when the cards have found their marks. Will come with 3D glasses to truly immerse yourself. As long as I see the Christian Whitehead logo on it, we're good. Give us Mania 2, please. Hard pass if it’s a 3D title. I'm hoping for a Sonic game that doesn't try anything new. Almost every time 3D Sonic tries to introduce a big new mechanic it ends up bogging down what would otherwise be a fantastic game - Sonic Forces with its awkward player avatars and forced cameos, Sonic Unleashed with the slow-paced werehog sections, Sonic Adventure with all its sub-par characters when pretty much everyone just wanted to play as Sonic, etc. Use the boost formula and mix it with some of the Adventure series' better qualities, and I think you've got a winner. Boost would be fine if there weren't tricks and ranking and other unnecessary garbage. Like Time Crisis 3/4 or DmC, "bonuses" stop being bonuses if they're mandatory. Just a simple but detailed (and polished) 3D game, thanks. @KingBowser86 Are you talking about tricks from Generations? Those are absolutely fine and pretty fun. Time to trash the boost formula and go back to Adventure/Heroes type of gameplay where there's a controllable camera and freedom of movement. Let the other characters shine for once! Remember Cream? Cream the Rabbit? Oh and Sega should stop trying to shove the classic stuff down everyone's throat. Mania's been out for a while, I don't think it does ANY good to have Classic Sonic or the blasted 2D sections anymore. Stop trying to redesign Sonic into Classic Sonic, it's weird. Go back the Unleashed/Generations model design with the long spikes, regular legs, etc. If it's a 3D game, I hope it will at least have Tails and Knuckles as playable characters again. Sick of each game having variants of Sonic, be it Classic, Super Sonic, Sonic OC, or Shadow, the official edgelord Sonic OC. At this point I don't know what I want from a Sonic game, if it's a 2D game then it'll keep being stuck in the past, if it's a 3D game then it's more likely will just be a failure. I say Sega needs a new mascot, they gave Alex Kidd the boot a long time ago, now it's time to retired Sonic the same way, maybe they could pass the torch to other Sega mascots like Ristar, Vectorman, NiGHTS, or Billy Hatcher perhaps. I really wish I am excited for a new Sonic game but at this point in time, my excitement for the blue blur ain't there anymore. It's like me keep getting my hopes up and wishing for something great with Sonic only to get a mediocre experience in the end. I'll give this new one a chance but if it's anything like Forces then I had no hope for any future main Sonic games. It's a game about an upcoming movie. I’d love to see something along the lines of Sonic Utopia become an official reality. There’s potential there imo. Another crappy janky unfinished 3D Sonic game coming right up! @HollowGrapeJ Eh, I'm thinking of things like sliding under an arbitrary wall or any that are QTE-like or that determine path, etc. I'd like to see them make another game in the style of Colours. It's the best Sonic game I've played, and was really well designed. Will they outsource it to a proper development studio? If so, I'm interested. Spoiler, the initial trailer has everyone thinking it looks like an incredible return to form and then it ends up being a giant pile of meh. I think they could make an excellent 3D Sonic game if they ditched the 2D classic style sections and fixed the controls. Controlling Sonic in 3D seems to be the main problem with recent 3D Sonic games. In my opinion the controls fail because you have to always be pushing up on the controller while Sonic is running and that makes it hard to steer him left and right. I reckon eithet have sonic auto-run and give the player more control steering him left/right or have a button for run. Kind of like how in Space Harrier you're always running and you dont need to always be pushing up on the controller to move forward. Other than Sonic Mania I've kinda lost all interest in recent Sonic games. Sega has so many ips why only focus on sonic? Is sonic still this popular? I know no one who is actually interested in these games. Ah well, all i know is that some guy from Minnesota got married to sonic 10 years ago. @ilikeike I've got to disagree there. Your own character in Forces for me was uncalled for and made the game worse. Unleashed sections weren't that good, but I also wouldn't call them straight bad. And the Knuckels/Rouge and Tails/Eggman stages in Adventure 2 are some of my favourite "Sonic" stages ever. PS: Every time I read "Sonic" I remember his look in the movie and it always give me the chills lol. @Nomad Sonic Team already tried that. Sonic and the Secret Rings. Not to mention the adventure games and Generations already controlled very well. Sonic Royale. 2D sonic where the game randomly selects one of five levels. You race against everyone else picking up items that can take out anyone. Don't have any rings? Your out! @HammerKirby The camera work in SA2 is absolutely awful but it’s still my favourite 3D Sonic game. The variety of levels was massive. The Mania team forming a new studio that’s named after something Sonic related is probably a good sign, it would be nuts for Sega not to do this but who knows; just think we are a few years away from it being a decade since Sonic Team put out a good game. Well I would like a good 3D Sonic game. Sonic Mania was awesome but quite a few of the levels and special stages were taken from previous games so it would be nice to have a completely original 2D Sonic game. Hope it's not a movie tie in though as I can't see that being good. Please don't let it be disappointing. I don't even want a 2D Sonic game from Sonic Team. They already showed with Sonic 4 and the Classic segments in Forces that they have no idea what that really is. Calling it now: It's gonna be a bad game. It'll be tough to top Sonic Mania. Sonic Forces was a snoozer. Okay, hopefully this time, it won't be a horrible mess. Like Sonic forces. Also, what I think Sonic Team needs is consistency. That's what I see as the biggest problem. When you look at Sonic games, they don't stick to what works. They try to change and experiment so they can please everyone at once at it doesn't work. People love Sonic Mania because it improves on what made Sonic work in the first place with the Classic games. With Generations, they improved on Modern Sonic with the boost formula and I personally think it's the best he has ever been. So, what happens after Generations gets positive feedback? Well, instead of improving on that, they put that out of the window and went back to square one with Lost World. This keeps happening and they can't make up their minds on what Sonic is supposed to be. And because of this, the Sonic fanbase has become so divided and it's even harder to please everyone. We've been through this same cycle over and over again. They need to let him take a break and figure out what to. They have put Sonic as a quantity over quality series and he deserves better. Of course it is, Iizuka. I’m at the point where I’ve officially given up on the franchise. It could turn out fantastic, like Mania, but coming from someone whose first console was the Dreamcast? I have a fondness toward Sonic in 3D. Are they perfect? Lord, no. But this is Sonic Team’s ultimate problem. Every time they get a decent 3D formula going, they scrap it because it’s not perfect. It happened with the Adventure games, it happened with the Boost games, it even happened with Lost World. Put out a string of games with one formula; allow it to grow with each installment. It works for Mario, Kirby, Fire Emblem and so on, it worked for Zelda (I don’t particularly care for BOTW but I wouldn’t want Nintendo to throw it out, just tweak it somewhat with more traditional dungeons, unbreakable weapons, and a better story), there’s no shame in sticking with what you have for a while. I wish sega would stop acting like sonic is their only franchise. Well at least there is judgement. Can someone take virtua fighter off life support?! Shadow the Hedgehog 2, please. I need more gun-toting hedgehogs and ‘edgy’ rock music in my life. What do they mean by mainline? Sonic is all over the place with it's different games, I don't know what Sega would consider a next mainline to be. The next Adventure? The next 3D standalone? A continuation of the 2D? Sega has mishandled Sonic so much, that I will have pretty low expectations if Christian Whiteheads logo isn't attached to it. Mania is the first Sonic game I have enjoyed completely since Sonic 3+K (there have been some other alright ones in the interim, but they always seem mess up some aspect). In other news, the Sun will rise in the east tomorrow. There are more than enough beloved Sega IPs NOT named "Sonic the Hedgehog" to support an entire console again (not that it'll ever happen). My point being, another Sonic game announcement isn't all that newsworthy based upon Sega's endless milking of the franchise over the past 20-plus years. But say, a new Shining Force (or even a full SF III remaster), Dragon Force, Saturn/Dreamcast/Arcade compilation, Panzer Dragoon Saga sequel/remaster, Shinobi, Phantasy Star, Valkyria Chronicles 5, or any of several other potential announcements, and there would be some SERIOUS, genuine excitement from gamers. There is ALWAYS one in development. They used to chuck one out every year. I bet this one will be out in November, like usual. A proper phantasy star would be good. Maybe a pre-Alis game featuring an older 1000 year cycle. Just give the IP to Nintendo, they at least know to take care of their mascots. @RainbowGazelle I never got to experience that one myself! It was always one of my biggest mistakes. I’ve always wanted a Sonic game in the style of Baldurs Gate. Only Christian Whitehead with his new studio developing Sonic Adventure 3, can save 3D Sonic at this point. Hopefully after the good reception of Sonic Mania, SEGA knows that these folks are currently the best ones for restoring 3D Sonic. @IkeBoi Please mind your language! I'm a fan of the series, and enjoy all the Sonic games I've played, so as long as the next Sonic game comes to Switch, or if I have a PC good enough to run it, then I'll most definitely be looking forward to it. 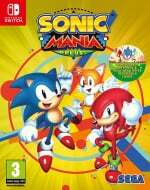 1- Christian Whitehead's with his developing team because they know better than SEGA, what the fans want. 2- Intuitive 3D platforming features and mechanics just like Sonic Adventure 1 and 2 with their item upgrades. Some of the hidden upgrades were optional and required exploration which can have good replay value if they added more reasons to explore in the game like collecting animals for the Chao Garden or collectibles that unlock special hidden areas, but this I'll explain it more on the num 3 point which goes hand to hang with this. 3- Multiple overworlds just like Sonic Adventure 1. This is a feature that could have been improved in Sonic Adventure 2. With a good overworld, they can put more features like doors that have hidden Acts/Stages that will only open, if you get the necessary item in the main game stages. You can also add different Chao Gardens to (example) at least 5 of the 8 areas of the overworld. 4- Bigger Stages. The main stages and hidden stages should be medium sized so that we can have more animals and chaos drives dropped from robots to collect for the Chao Garden. Also they should add special items in the main stages that unlock hidden stages and areas to increase replay value. Many games have these features and works surprisingly well, even in 2D games. 5. Relevant Story with good explanation. Forces is an example of a bad story with many things that were never explained, that needed explanation. Adventure 1, Adventure 2, Heroes, etc. were better and more detailed explaining in their stories. Granted, they weren't perfect but they handled things better than Forces. Advice to Sonic fans: enjoy this moment now. This new Sonic game currently exists in a state of being really good and really crappy at the same time. 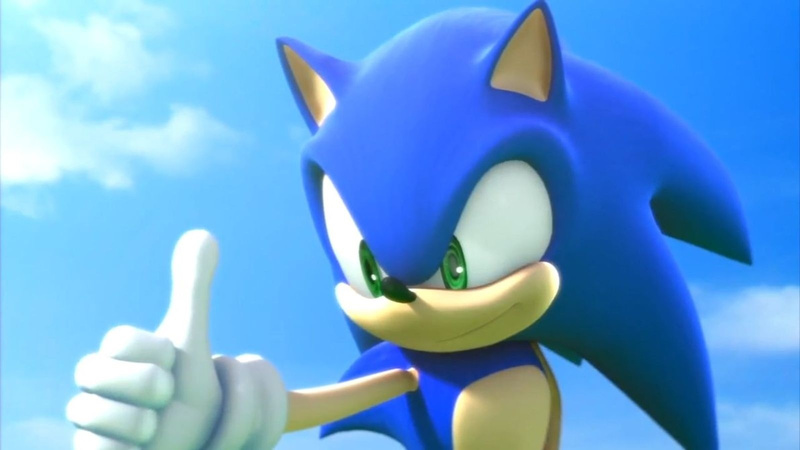 But when it releases it will undoubtedly be a bland game that fails to capture the spirit of Sonic. It'll probably be a movie tie-in. Aren't we about due for Mario & Sonic at the Olympics 2020? (Not personally interested, just saying...). Sonic Team Sonic Team... All I ask is you guys create and maintain a genuinely good 3D Sonic experience. No gimmicks, just make "running" front and center and purposeful. I'd settle for a halfway decent 3D sonic game, at this point. There are a few gems, but it's mostly been stuff they obviously just threw together in short a time as possible. Please just let the sonic franchise die already... geez. If they learned from Sonic Mania, then cool. how long before sega understands that all sonic has going for it anymore is nostalgia? games that survive purely on nostalgia and fail to evolve are doomed to fail. nintendo was able to figure that out and they are still around as a big console manufacturer and game publisher and developer. sega didnt and they release mediocre titles once in a while. if this sonic game cant show that the ip will or can evolve into a game people will like for more than just its history, then by all rights it should be the last sonic game made. i like sonic and want to see it endure into the future, but it needs to prove it has a reason to exist beyond wasting my time getting me all hyped just to disappoint me again. Please be Sonic Adventure 3, Sonic Generations 2, or Sonic Mania 2. That's whatvwe all want right? @companyoflosers I think they try to hard to evolve. The sonic games after generations did try new stuff but failed horribly. Instead they should have perfected the colors/generations formula first. Sonic Mania was successful because they tried to recreate the working formula of the new games. @HammerKirby yeah, I've played all those and you need hold the analog stick in the up direction to make Sonic run, i reckon that's what makes it difficult to control. @AtlanteanMan Forever Entertainment are remaking the first two Panzer Dragoon games. I think the first one is due out around the end of this year. Cool hey. Given how many Sonic games there are and how many of them were decent, I am not looking forward to this at all and in fact would rather them stop making games just to let the franchise breath a bit. 8/10 chance it's gonna be mediocre. No I’m not looking forward to next major entry in this long-runny series. Even as good as Mania was, they really ought to hang up Sonic’s shoes. Not forever, but until people actually care enough, similar to Crash and Spyro. Tired of waiting for Sonic to be good again and only getting at most “better than usual”. Sonic is a crappy franchise. When only 4 or 5 games out of your 30+ game franchise are decent enough to warrant playing, you've done goofed. Mania doesn't count, wasn't developed by them and it's so sad that fans can make a better game than they can. Just because the world and characters are likeable doesn't save the franchise from probably the most inconsistent level of quality and care I've ever seen from a long-running game series. Hope there will be no wisps anymore. As long as it's ANYONE but Sonic team developing it then it might have potential. To be honest, I want an upgraded version with levels from forces, sonic R, mania plus, and levels from other sonic games that weren't featured. Maybe even give a level for sonic 3 and sonic and knuckles seperately. Not all Sonic 3D games are bad, Generations is brilliant and it was made by Sonic Team. They need to do much better than Sonic Forces though. Yes, I want a new 3D game and no, not like Sonic Forces. @SamusLv7 Good points but the thing that really messed with most Sonic 3D games is the camera. I barely could beat Sonic Adventure DX because of that and I couldn't beat Sonic Heroes (the jungle world) because the camera changes when jumping, I can't see the small area were I am supposed to land and there's something in the water chasing you. I gave the game up. Sonic Team has always cared about the visuals and never really cared about the camera. Sonic Generations got everything right though, even the challenges are fun (most of them). The challenges in Sonic Adventure (missions?) are silly. I remember moving a human being into a burger bar and other things like that. @BlueOcean True, there were many missions in Adventure DX that didn't feel enjoyable or memorable. The ones that are good were just a few ones. Since I haven't played Sonic Generations, I know next to nothing, but I believe you when you said that Generations got all on point. I hope that I can try it in the future. Also I agree on the problems that many 3D Sonic games have with the camera. I got stuck for many weeks in the forest and jungle areas of Sonic Heroes. Eventually I cleared Heroes but I can't deny the camera issues. @SamusLv7 Yes, I don't remember if it was a forest or a jungle but I stopped playing there because when you lose all the lives you have to start from the beginning of the world. It's a shame because Sonic Heroes is appealing. I played Generations on Xbox One, the 3DS version is not great. I think that Sega isn't going to show this new game until next year but I'm looking forward to playing Team Sonic Racing! @retro_player_22 They're not going to do that. @BlueOcean Agreed. It seems too soon to for the game to be announced. I checked the names and find out that the first stage is called Frog Forest, while the second stage is called Lost Jungle. So you were right about the stage being a jungle. That stage also has bad frogs that caused an acid rain, which does damage to the plants that could be used as paths. @SamusLv7 Yeah, hard to figure out what was chasing you and where to go though.